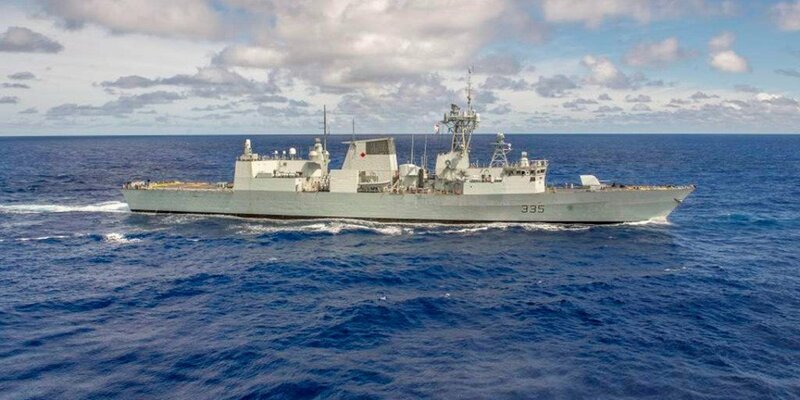 The twelve Halifax-class frigates of the Royal Canadian Navy will be supported by Lockheed Martin Canada for another three years under a contract extension to the existing in-service support contract of the company, reported Shephard Media. That was announced by Lockheed Martin Canada last week, on 12th July 2018. “We are pleased by the vote of confidence from our Royal Canadian Navy customer to continue this existing relationship. As part of our Combat System Integrator portfolio, Lockheed Martin Canada has established a world class in-service support team which is also being recognized by our international customers,” commented the vice president and general manager of Lockheed Martin Canada Rotary and Mission Systems, Gary Fudge. The on-going in-service support contract was signed in November 2008 when the Project for modernization of the Halifax-class frigates was awarded. That agreement involved support of the legacy Halifax-class system as well, which was executed before the start of the activities related to the modernisation of the ships. The scope of the CMS (Combat Management Systems) support involves hardware and software backing for the CMS 330, and the CMS to combat subsystem interfaces, ancillary systems and tools, including integration of new weapons, sensors and information sources. The Halifax-class (also called the City class) frigates are multi-role patrol frigates in service for the Royal Canadian Navy since 1992, and the CMS 330 of Lockheed Martin Canada is a derivative of a legacy product of the company that was originally developed in the 1980’s for the original build of the HALIFAX Class ships of the Royal Canadian Navy.